Chinese Wok Range Adapter from 18" to13"
This wok range adapter converts the 18" wok hole to use as a 13" wok hole. 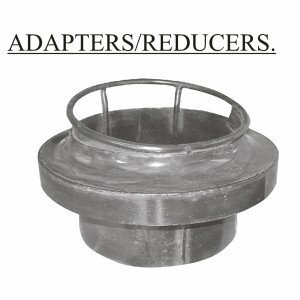 Make sure the burner size is less than 12" in order for this adapter to use properly. The overall diameter is 20" to cover the 18" wok ring. This wok range adapter has 13" well, make sure your burner is less than 12". The overall height is 10-1/2" on the wok ring's highest position. Net weight: 22 Lbs. View More In Commercial Ranges.